Plenty of destructive ideas have been launched on the back of well-crafted propaganda campaigns. The wind and solar industries have used every trick in the PR book, turning pure fantasy into an all-too-real nightmare. Where electricity was once an essential service, which governments went out of their way to insure was available to all-comers, heavily subsidised, weather dependent wind and solar have trashed that idea. Nowadays, governments of all persuasions have taken to educating the populous that they are ‘demand resources’ and subject to ‘demand management’. That is, unceremoniously chopping the power supply to households and businesses, whenever the sun sets or calm weather sets in. We guess that that constitutes ‘demand management’, too? In the world of renewable energy zealotry, the English language has taken a first-class battering. The chaotically intermittent delivery of wind and solar becomes ‘variable power generation’. 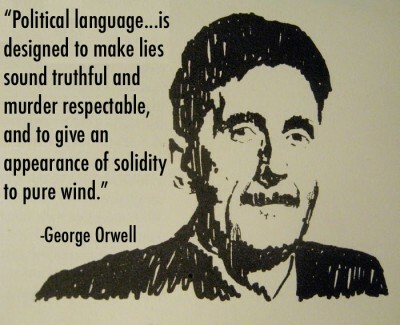 Wind ‘energy’ is always referred to as ‘free’. And it all started by turning an odourless, colourless, naturally occurring trace gas, essential for all life on earth, into ‘carbon pollution’. Here’s John Droz Jr with a catalogue of the kind of language abuse, for which eco-zealots have become renowned. We are told we can achieve 26% reduction without further expenditure on renewables. How so? Is it through their existing installation, coal closure, gas take-up, and a degree of deindustrialization? I don’t know. If ScoMo supports more renewables it won’t be on the back of subsidies, and that together with a supplier guarantee requirement will end them. Our Queensland labour government make even idiots look smart. How they get any votes amazes me. The fact that a wind turbine does not exist for the network operator as long as it is not coupled with some controllable unit is really a basic property of wind power. For those interested I have written an article that shows why it is so, and analyses some consequences of this fact that help to understand the way wind power interacts with controllable power. And it appears that our new PM is embracing the Paris accord. What’s STT’s opinion on this? Has the Liberal party not learned anything? Turnbull saddled the country with a huge noose around its collective neck and it appears no one can figure out just how to remove it. The Paris accord was supposed to be non-binding, but trade with the EU appears to stipulate Paris accord measures. What a tangled web.